You can have your sci-fi stories and your romance novels. I am a sucker for a good memoir. Sometimes it’s difficult to find one that is engaging, interesting and not filled with stories of rehab or child abuse. That’s why I rely heavily on GoodReads to point me in the right direction. A few weeks ago I stumbled upon a new title that looked interesting. With a few clicks I had it on order at my local library and days later I picked it up. And then I couldn’t put it down. 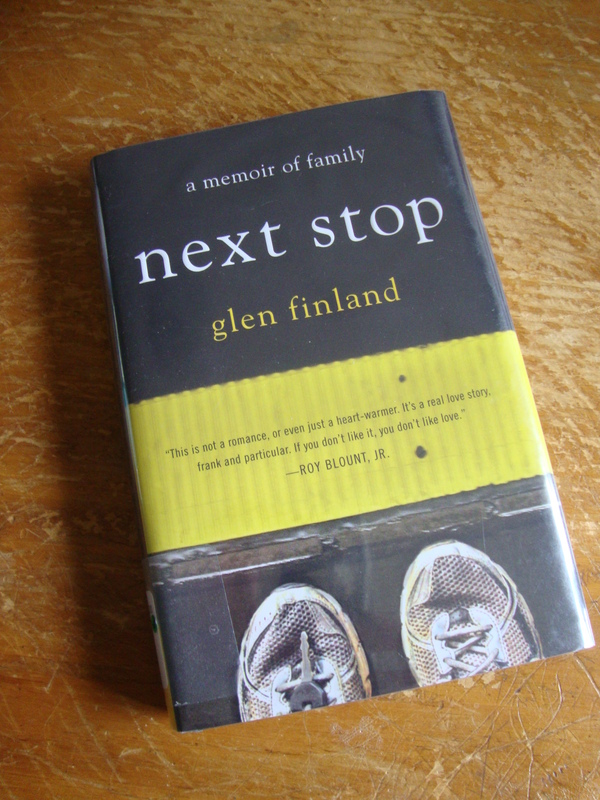 If only all the memoirs I find could be as well written as this gem, called Next Stop , by Glen Finland. It’s always fascinating to read about struggles that I’ve never faced myself. We’ve had several posts on GeekMom that were related to autism and raising autistic children. I’ve read a handful of books through the years about families with autistic children and they were very enlightening. The reason this book captured my attention was partially related to excellent writing and almost as much related to the fact that this is not a book about an autistic child. This is the first book I’ve ever read that dealt with what happens when that child grows up, and tries to enter the world of grownups. What happens when he desires the things adults get to do, but doesn’t necessarily have the ability to strike out on his own? Ms. Finland’s son, David, is at the end of his school years when the book begins to tell his story. Riding the metro in his hometown of Washington, D.C. proves to be one way he can start to earn his parent’s trust and slowly see what it’s like to navigate life on his own. Throughout the book, woven in with other stories of his struggle to become an adult, are stories of David’s adventures on the metro. He sometimes gets lost. He sometimes joins charismatic groups who recruit members at Metro stations, and is at one point swayed politically because of a cup of hot chocolate handed to him by a pretty young Democrat. The book beautifully lays out the give and take that comes with being a parent to a young adult who doesn’t follow the standard course of life. After all the years of fighting for equal opportunities in the school system, what happens when graduation is behind you and decades of life are still ahead? I have great respect for parents who face this question. If you know a family with an autistic child, of any age, this book is a must buy. If you’ve ever seen a child in public who didn’t act according to social norms, you could get some great insight from this book. And if you are a parent with healthy children, this book will open your eyes to another world and make you twice as patient when you see a fellow mom in the store, struggling with a child who doesn’t seem to understand the rules of social conduct. This book is a delight and fills a much needed niche in the information about autism, by spelling out what life looks like once the autistic child becomes an autistic adult.